I am very pleased to give you my first update as your permanent Dean. The summer months were somewhat quieter for ELT, with a number of ongoing discussions and initiatives slowed down in deference to the concluding phases of the Dean’s selection process. Now, with a clear mandate, I am eager to get back to business on your behalf. I look forward to continuing to share quarterly highlights from your Executive Leadership Team (ELT), so that you are apprised of the high-level issues and decisions we face. Strategic Action Group: In the winter and spring we sought your feedback on the FoM’s Status Report and Identifying Strategic Directions report. After receiving rich email and town hall feedback, we struck a Strategic Action Group that has developed a draft action plan based on your input. This plan seeks to reflect our collective strategic priorities; support for ongoing initiatives; and our aspirations to create new directions. The draft plan will be ready soon and will be shared with all internal stakeholders for comment. Joint student orientation: On September 4th I had the pleasure of welcoming our Faculty’s newest students. Learners from Undergraduate Medical Education (UGME), Postgraduate Medical Education (PGME), Graduate and Postdoctoral Studies, the Bachelor of Translational and Molecular Medicine (TMM) program and the Ottawa-Shanghai Joint School of Medicine were urged by me and my ELT colleagues to reach out to their peers from other programs, and to celebrate their linguistic differences. Task Force on Internationalization: The Task Force, which began its work in early 2018, has completed an inventory and assessment of our international and global health activities and submitted its draft report to the ELT. This report will be shared for broad consultation shortly, and will be an item on the town hall agenda for this fall. Dr. Melissa Brouwers, Director, School of Epidemiology and Public Health (SEPH), effective September 1, 2018. I would like to extend a huge thanks to Dr. Doug Coyle for his leadership during his time as Interim Director of the School from September 1, 2016 to August 31, 2018. Dr. Michael Schlossmacher, Interim Director, University of Ottawa Brain and Mind Research Institute, effective September 1st, 2018. Thank you Dr. Park for your leadership. 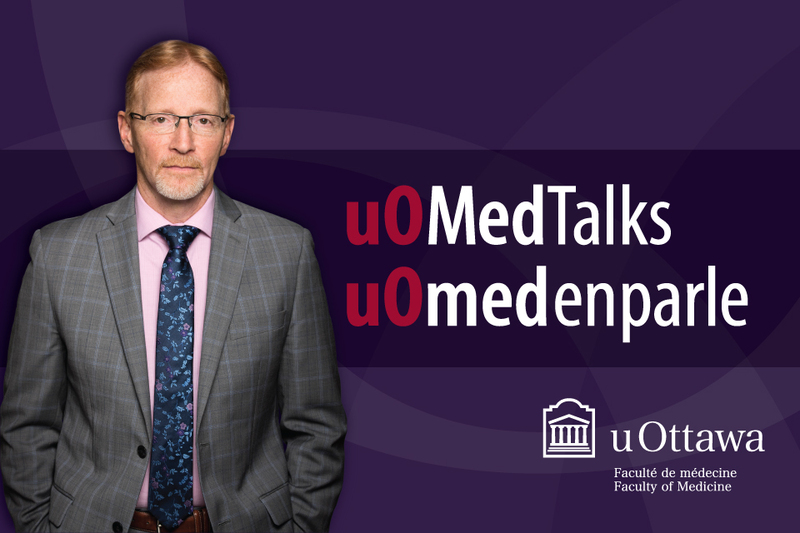 Dr. Paul Hendry, Vice-Dean, Continuing Professional Development, from April 1, 2019 to June 30, 2020. Excellence in Research Prize Nominee: The Faculty of Medicine is able to put one name forward for consideration for uO’s Excellence in Research Prize. The ELT has agreed to nominate Dr. Mary-Ellen Harper. Good luck Dr. Harper! Budget: Our budget remains on track to balance for this fiscal year. uO has announced $3M for each of the 2 funding envelopes in the new provincial funding model. We, along with our 9 fellow faculties, will be seeking new funds for innovations including shared programs with Central. Physician Academic Review: PAR is an online tool for physicians to document their academic productivity. In conjunction with credentialing, it is being used to harmonize meetings of faculty and division/department heads. The tool has been in use by TOH physicians for several years, and the ELT was apprised of the progress in enrolment by CHEO departments. Discovery Day and Doors Open Ottawa: ELT has given approval for the planning of two public-focused events, both to occur in late spring. Discovery Day is a collaboration with the Canadian Medical Hall of Fame, intended to give secondary school students interested in science the opportunity to explore a variety of career options in medicine and the health sciences by interacting with researchers, clinicians and educators in their real-life work setting. Doors Open Ottawa gives the local community a glimpse into some of our innovative research through means not normally available to the public. Stay tuned for more details about both. Artificial Intelligence: AI offers huge opportunities for investment and growth, and the FoM has been proactively collaborating with other Faculties and Central to see how we can add value to this uO area of interest. We will continue to examine how best to develop a niche for Medicine that would complement other hubs of expertise, and what infrastructure, talent and training needs we will face. Homecoming: The Faculty celebrated another successful Homecoming weekend this September, hosting over 100 of our alumni for a variety of social events. Highlights included the Dean’s reception, a Panda game (our Gee Gees brought Pedro home! ), and a farewell brunch honouring five outstanding alumni, including Drs. Jack Kitts, Andres Lozano, Mark J. Aubry, Nathalie Jetté, and Virginia Roth. Do you have feedback to help improve your Faculty of Medicine? You can reach out to me and the Executive Leadership Team anytime by emailing us at infomed@uOttawa.ca (or by calling ext. 8117).